The 'religious police' of Manjoi – what is Dr M’s take? LETTER | This is an open letter to the prime minister. Dear Prime Minister, Pakatan Harapan was given full support such that it was able to oust a 61year-old regime. One of the important things it pledged was to curtail and end racism so that Malaysian of diverse racial and religious backgrounds can live peacefully together as they used to long ago. 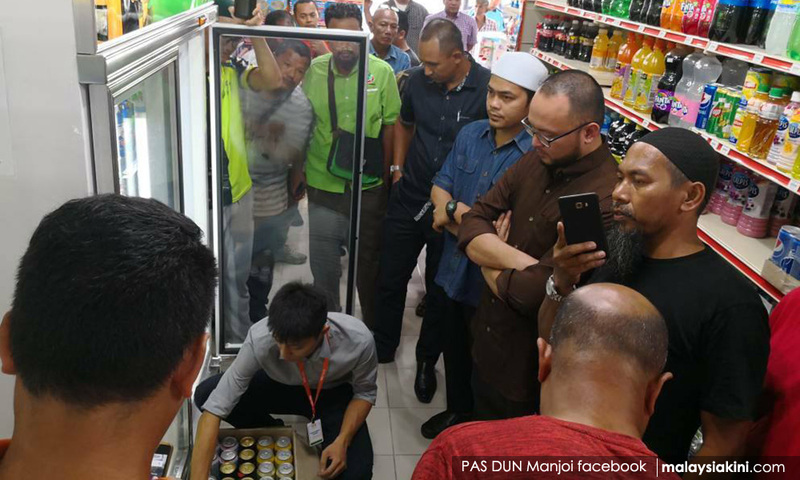 I wonder if you are in the know that a group from some NGOs appointed entered a convenience store in Manjoi, Ipoh on May 24 and forced the workers to remove all liquor bottles and cans. After that, they made police reports stating their “success” and said that more such raids will be carried out to cleanse Muslim-majority areas of the sale of liquor. The Perak menteri besar’s reaction was very disappointing. While advising the group that they should not take the law into their own hands, he also gave their high handed action tacit approval by advising the store owner to respect the sensitivities of the majority people in the area, i.e. Muslims. This is not an issue that can be measured in terms of billions like the high-speed railway projects. That does not mean it is unimportant or not urgent. Whoever is behind that mob is testing the Pakatan Harapan government to see whether it has the guts to stop mobs who are doing what they feel the government has failed to do, or is unwilling to do. This is a golden, God-given opportunity for the Harapan government to make a firm, clear stand on religious policing of this kind. Staying quiet is not an option as it only encourages and emboldens them. It is not enough to leave matters to the police. It is the government’s duty to nip in the bud the revival of these incidents after GE14. Not saying anything means only one thing – that the Harapan government tacitly approves what happened at Manjoi on May 24 thereby giving a license to this and other similar outfits that will rise throughout the country, to create enmity between Malaysians of various ethnicities and religions. It will take only a few minutes to make a statement on this matter. Please do it.